Please refer to our stock # C6876 when inquiring. 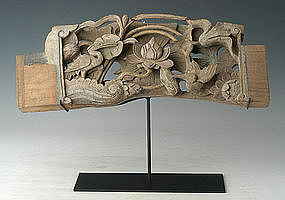 Chinese wooden panel with flower and crane design. Condition: Nice condition overall (some expected degradation due to its age including tiny chips). Please refer to enlargement photos for more details.